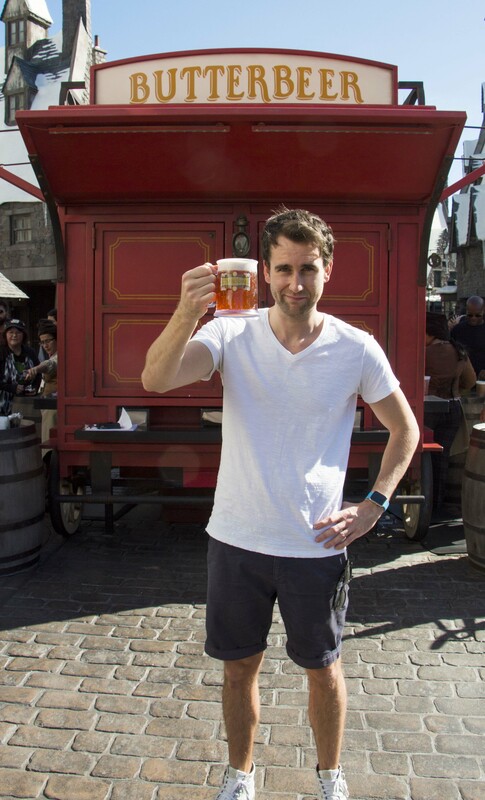 Fans of the Potter series are accustomed to seeing Matthew Lewis at Universal Studios Orlando in Florida for various events such as the Harry Potter Celebration or the Grand Opening of the parks. However, yesterday Matt paid a visit to “The Wizarding World of Harry Potter” at Universal Studios Hollywood to enjoy a frothy cold butterbeer! 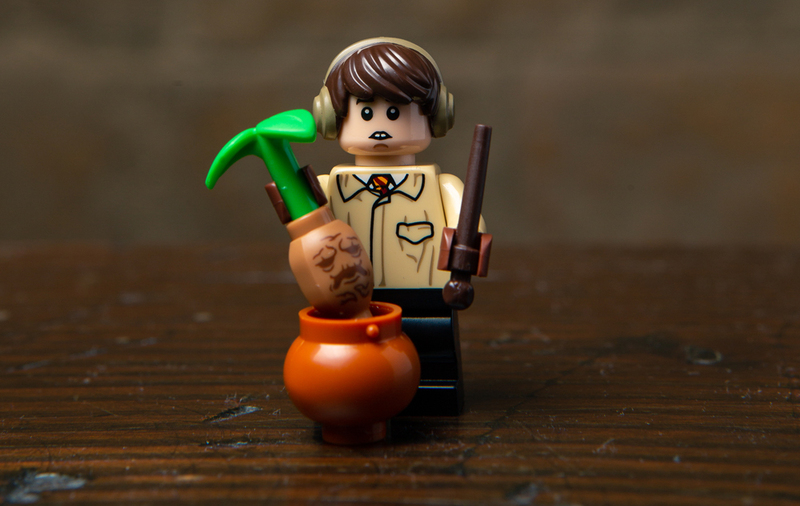 Universal have sent over a photo of Matt Lewis enjoying his drink in the warm weather.